by SARMA at Misty Hills Conference and Exhibition Centre in Muldersdrift on 25-26 August 2016 and be part of the change that is shaping a new and improved concrete industry. 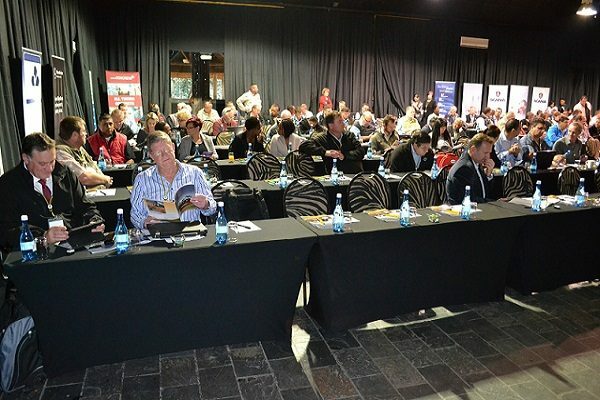 This year the conference will include other bodies affiliated with concrete in South Africa, including the Concrete Manufacturers Association, The Concrete Institute, Concrete Society, Association of Cementitious Material Producers and the Aggregate and Sand Producers Association of Southern Africa. “It is important to attend, to understand how the concrete industry is evolving and how partnerships with materials suppliers will become key to doing successful business in future. We live in a changed world and it is important that companies, Government and parastatals understand how new technologies and techniques can improve service delivery and the quality of construction in South Africa,” says Johan van Wyk, GM of SARMA. The high-powered line-up of speakers includes an in-depth panel discussion between the concrete organisations that will outline the future of concrete in South Africa, as well as comment from cement suppliers and other key contributors to the concrete industry. To register for the conference, go to www.sarma.co.za or contact the office on Tel: +27(0)11 791 3327.